The purpose of this starter kit is to act as a kick start for app development on Enonic eXperience Platform. 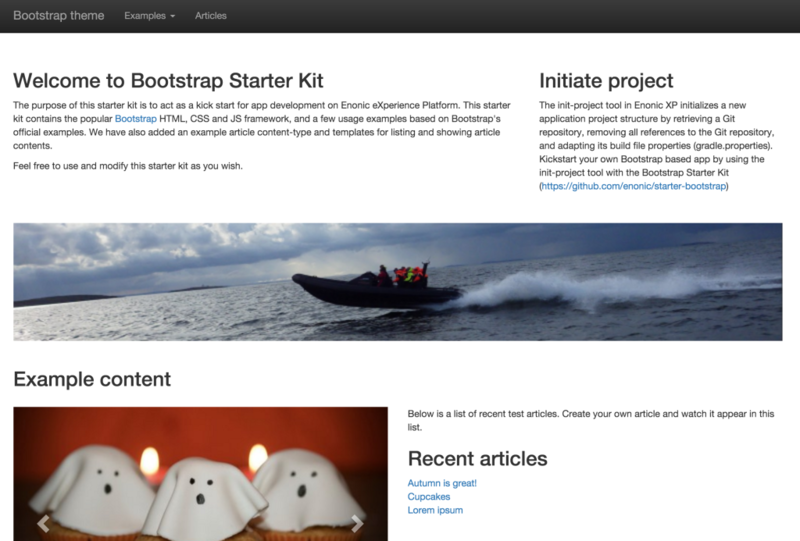 This starter kit contains the popular Bootstrap HTML, CSS and JS framework, and a few usage examples based on Bootstrap's official examples. 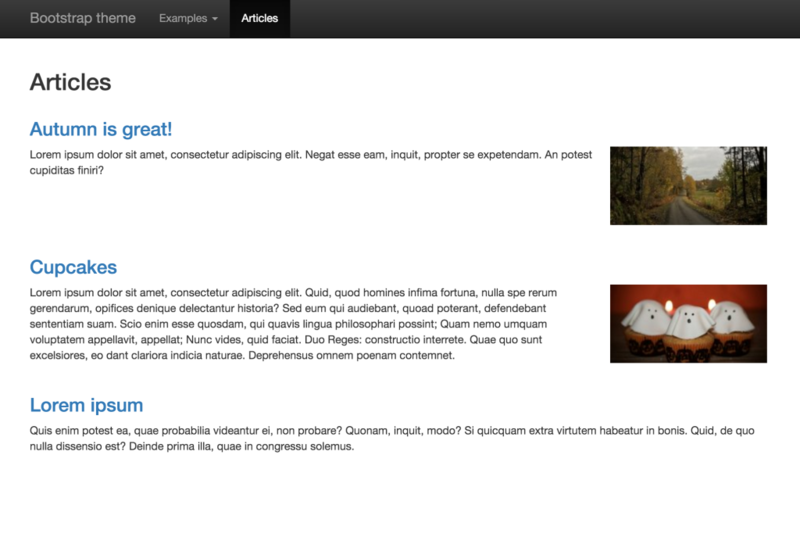 We have also added an example article content-type and templates for listing and showing article contents. Update to support changes in Enonic XP version 6.12.0. Still compatible back to 6.4.0. 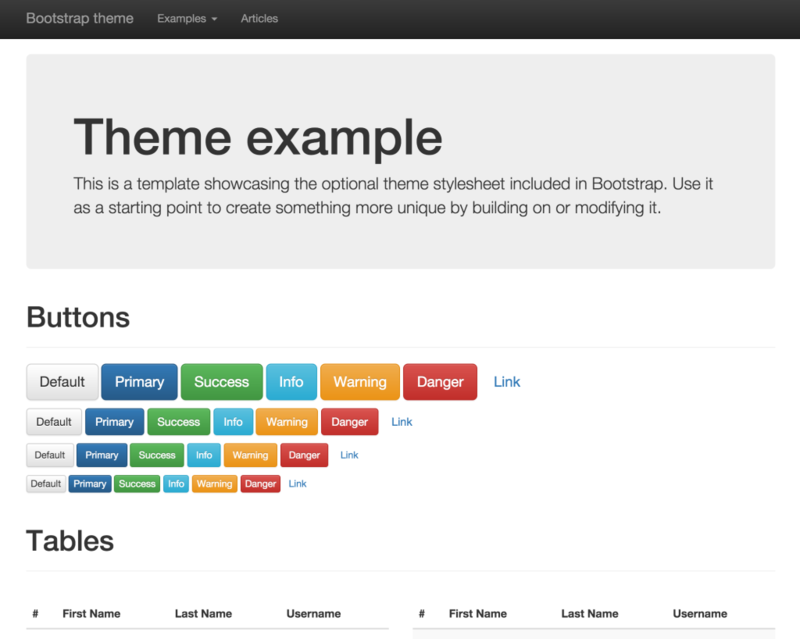 …and choose "Bootstrap 3 Starter" from the list. To initialize a new project based on Bootstrap 3 Starter, execute the command below. Remember to replace <com.company.myapp> with a unique name for your app, and </my/projects> with the location you want to store the project. <$XP_INSTALL> is the location of your XP installation.